Partypoker has always been an industry leader in looking after customers and giving them value for money and that trend is set to continue with another exciting improvement to the customer experience. The VIP system of partypoker is one of the best in the industry, but despite that, those in charge at the poker room have decided to step things up and take care of their biggest accounts in a way which shows a fuller appreciation of their loyalty. Diamond Club Elite has launched in the last week and will heap extra rewards on the most loyal players onsite, including as much as 60% cashback and VIP packages worth $16,000 and $10,300 for events in the Bahamas and online. The Diamond Elite Club requires players to contribute $200,000 in rake in order to qualify, and other perks of membership include VIP treatment at partypoker LIVE events, a $10,000 bonus once $100,000 rake has been paid and 24/7 support. Furthermore, the first two players to reach Diamond Club Elite status will be given 100% cashback until January 2020. One of the best facets of partypoker in recent times has been its tournament series’ and the guarantees that are placed on them. The online poker world sits up and takes notice any time partypoker announces a tournament series and the latest one to turn heads is the KO Series which got underway on February 3rd. The series runs until February 17th and guarantees $15 million in prizes across 437 separate events. Pushing the boundaries, as ever, partypoker has boosted the guarantees by 33% on the previous edition of this series just three months ago. The number of events has also been boosted by 253 events. All events will follow the progressive knockout format, with a $500,000 guaranteed $530 tournament capping off the series. A $300,000 tournament with a $3,150 buy in takes place on the same day, with a broad range of buy ins spanning the entire series. Somuchpoker readers will be pleased to hear that they can become the lucky recipients of $22 worth of free tickets if they haven’t yet signed up to partypoker. 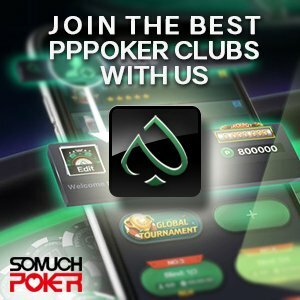 In order to collect these tickets, all players have to do is sign up through Somuchpoker and deposit a minimum of $10 and they will receive four free $5.50 tickets.